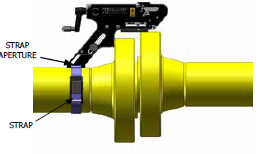 Flange Alignment tools can be used to align or re-align flange joints during pipework construction, commissioning or during routine maintenance. 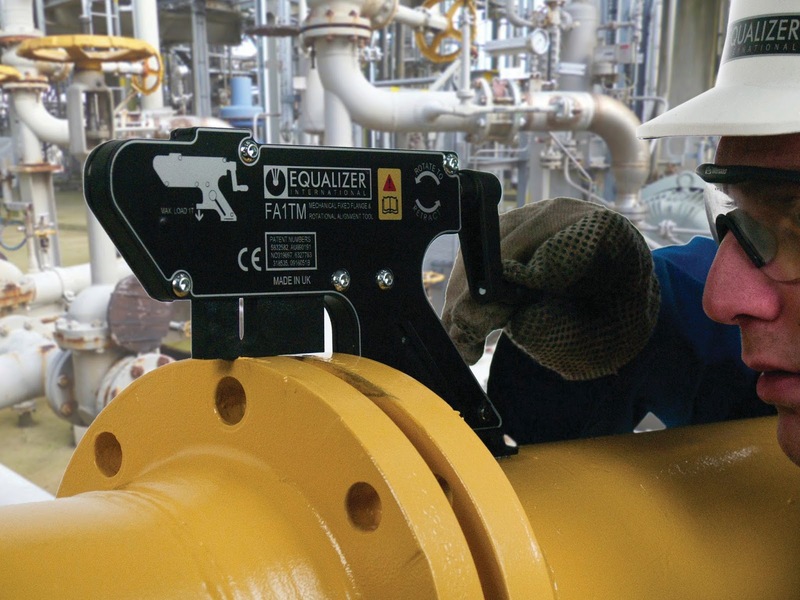 The Equalizer FA1TM TOOL is an aid of use in normal maintenance and installation procedures to enable the realignment of misaligned flanges within respective working capacities. 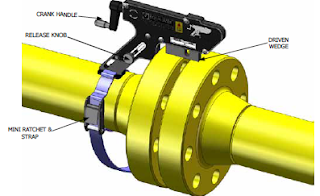 For example, the tool can be used to assist in the replacement of ring and other types of flange joint. The use of these instructions will promote safe use, and maximise the service life of the tools. 1.The FA1TM is secured to the lower of the two flanges by fully inserting the lift hook into the bolt-hole at the point of greatest misalignment. 2. 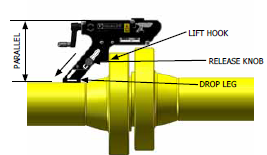 The drop leg release knob is slackened and the drop leg is adjusted down to the pipe while the tool is held level in the bolt-hole. 3. The drop leg release knob is then tightened until firm. 4. The strap and buckle are attached to the drop leg and around the pipe for added security. 5. 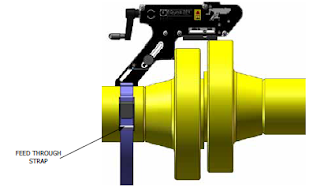 The crank handle is then turned clockwise until the driven wedge comes into contact with the circumference of the opposite flange. 1. 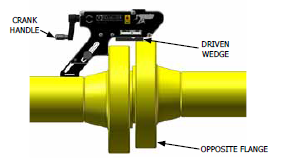 Loosen and remove every second bolt around the flange, continue with this until misalignment occurs. A flange joint, once broken down, may spring out of alignment at any point, or in any direction around its circumference. Misalignment may not occur until only a few bolts remain. 2. At this point the direction of any misalignment should become obvious. 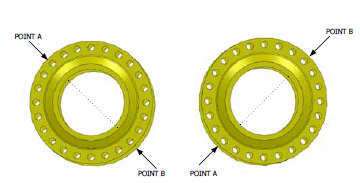 The alignment tool being used should be attached at the maximum point misalignment (point A or point B in the examples shown below) as shown. and bottom of the joint. 2. Guide the lift hook into the bolt-hole at the point of maximum misalignment. Adjust the drop leg down onto the pipe by slackening the release knob in an anticlockwise direction. 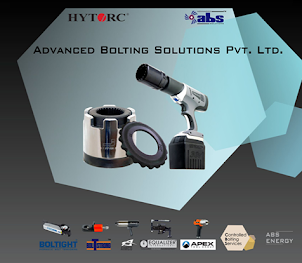 The tool should be held up level within the bolt-hole during adjustment. NB: The tool must be parallel to pipe during operation. 4. Thread the strap through the aperture on the base of the drop leg as shown. 5. Feed the open end of the strap through the buckle mechanism as shown. Close the clasp to secure strap. 7. Once in alignment the bolts may be inserted and tightened. After replacing all of the bolts (apart from the bolt which will go into the bolt-hole in which the FA1TM is located) remove the tool by reversing steps 2-6. Insert the last bolt and tighten. 1. On return from each job before allocation against subsequent work, the completeness of the Equalizer FA1TM kit must be established and items examined to ensure that they are serviceable. 2. Any missing or damaged items are to be replaced as soon as possible and prior to the tool being used again. 3. Store the FA1TM in a cool, dry place and ensure all machined surfaces are greased. 1. Secure the tool upright on a bench. 2. Using a small flat screwdriver, lever out one circlip and unscrew 6 x 6mm hex screws. 3. Remove cover plate and remove any dirt or corrosion from moving parts. 4. Inspect components for wear and damage, replace if necessary! If there is no damage present, then they can be greased and re-assembled by reversing steps 1-4. Rocol Sapphire Hi-Load or equivalent good quality hi load bearing grease.